Our discussions have moved onto the nuts and bolts of copyright and distribution. It’s not interesting – but it is important! There is no such thing as public domain in the UK! In the USA an author can pass their rights over to the ‘public domain’, but in the UK someone will own the copyright until 70 years after the author’s death. When are you allowed to distribute/ share? So what type of resource is Great Writers Inspire? 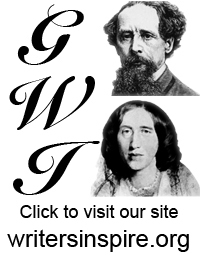 Q1: So can we make a PowerPoint out of clips from the Great Writers Inspire website then upload it to our school website? A1: Yes – but you must put it out on a Creative Commons licence with a ‘sharealike’ stipulation, like ours. You must also attribute us. And you must not make money out of it. Q2: Do academics get the same credit for recording an open licenced podcast as they would for publishing in a traditional subscription-only academic journal? A2: The credit they would get is not really comparable. But the credit is there. In order to secure funding, universities now have to show that they are engaging with the public and are achieving ‘Impact’ – their podcasts should count towards this. This entry was posted in engage, events. Bookmark the permalink.